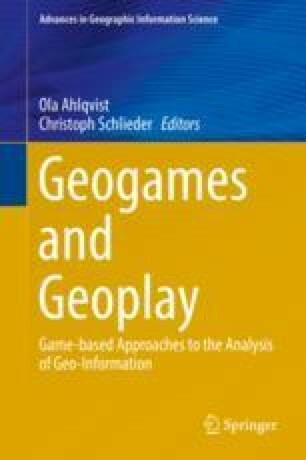 While teachers have used geogames in a variety of learning contexts in secondary education, they generally avoid letting the students themselves design a geogame because of the alleged complexity of the task. In this chapter, we identify an important part of the geogame design process, namely game relocation, and provide the methodological and technical means for addressing it in the classroom. In game relocation, the designer adapts a successful location-based game to a new geographic environment. We show how to decompose the game relocation process into a sequence of spatial analysis tasks accessible to students. Furthermore, we present a method, place storming, which permits students to search the geographic environment for potential places of game actions. The chapter concludes with the description of a software tool that supports students to solve the spatial analysis tasks involved in game relocation. This research has been funded in part by ESRI Inc. within the Geogames and playful Geodesign project.